Purchasing food grown in the Boulder County foodshed supports local farmers, feeds you and your family healthy nutritious food, increases resiliency of our local food supply, improves our local economy, and decreases emissions from food transportation. You don't have to replace your entire grocery list all at once. Start by replacing one or two non-local items you buy regularly with a local version. Below are some great opportunities to do just that, while building relationships with your local food producers. CSA's, (community supported agriculture) are great ways to make a direct impact on your local producer. This link will help you find a CSA close to you, and within your price range. The Farmers Market is a great opportunity to see many of your local producers in one place. This market has been a producer only market since 1987. Check out their website to find a location near you. 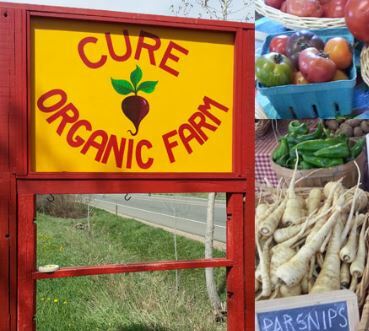 Over the course of the season we offer our certified organic vegetables, fruit, meat, eggs, flowers, honey and wool for sale along with other local products. We harvest on Tuesday, Wednesday and Friday for the store. We’re lucky that in Boulder County many restaurants are making an effort to purchase from our local foodshed. You can show your support by eating there and letting them know that you appreciate their effort. We utilize the Good Food 100 source list, and suggest you check out their list of restaurants that have been verified by NSF Responsible Sourcing and analyzed by the Business Research Division at the Leeds School of Business, University of Colorado Boulder.